Donella H. "Dana" Meadows was a pioneering American environmental scientist, teacher and writer. She is best known as lead author of the influential book The Limits to Growth, which made headlines around the world. Meadows was educated in science, receiving a B.A. in chemistry from Carleton College in 1963, and a Ph.D. in biophysics from Harvard in 1968. After a year-long trip with her husband, Dennis Meadows, from England to Sri Lanka and back, she became, along with him, a research fellow at MIT as a member of a team in the department created by Jay Forrester, the inventor of system dynamics as well as the principle of magnetic data storage for computers. She taught at Dartmouth College for 29 years, beginning in 1972. In 1972, she was on the MIT team that produced the global computer model "World3" for the Club of Rome and provided the basis for the book, The Limits to Growth. The book reported a study of long-term global trends in population, economics and the environment. The book made headlines around the world, and began a debate about the limits of Earth's capacity to support human economic expansion, a debate that continues to this day. She wrote a weekly column called The Global Citizen, commenting on world events from a systems point of view. Many of these columns are compiled and published in a book. Her work is widely recognized as a formative influence on hundreds of other academic studies, government policy initiatives, and international agreements. 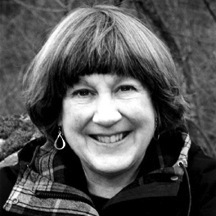 Meadows was a long-term member of the US Association for the Club of Rome, which has instituted an award in her memory, "The US Association for the Club of Rome Donella Meadows Award in Sustainable Global Actions". This coveted award is given to a highly outstanding individual who has created actions in a global framework toward the sustainability goals of Donella, expressed in her writings. Meadows was also the founder of the Sustainability Institute, combining research in global systems with practical demonstrations of sustainable living, including the development of a cohousing or ecovillage and organic farm at Cobb Hill in Hartland, Vermont in the United States. She was honored both as a Pew Scholar in Conservation and Environment (1991) and as a MacArthur Fellow (1994). She received the Walter C. Paine Science Education Award in 1990. She also posthumously received the John H. Chafee Excellence in Environmental Affairs Award for 2001, presented by the Conservation Law Foundation.